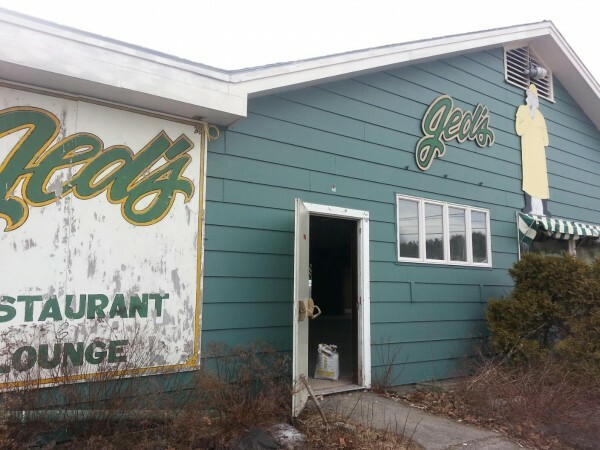 The former Jed's Restaurant on Route 1 should reopen by early summer as ALLPLaY-Belfast Family Entertainment Center, offering candlepin bowling, regulation pool, arcades and more. Seth Goodall (left), the New England Regional Administrator for the U.S. Small Business Administration, talks Wednesday afternoon with Donald Benson, the owner of ALLPLaY and ALLPLaY Belfast, about the soon-to-open family entertainment center off U.S. Route 1. BELFAST, Maine — The dimly lit, cavernous interior of the former Jed’s Restaurant building on U.S. Route 1 may be home to some busy carpenters, but soon, it will be filled with the sounds of bowling balls striking candlepins. Donald Bensen and his wife, Kelly, who own ALLPLaY Family Entertainment Center in Waldoboro, have plans to turn the 9,000-sqaure-foot former restaurant into the future home of ALLPLaY-Belfast. The couple recently purchased the building that has stood empty for years. Benson, a 25-year veteran of the Air Force, spoke Wednesday afternoon at an event held by the U.S. Small Business Administration at the future home of ALLPLaY-Belfast — which will feature eight lanes of candlepin bowling, fried Maine seafood and more. Benson thanked the Small Business Administration, which provided him with loans for both the new location and the one in Waldoboro. 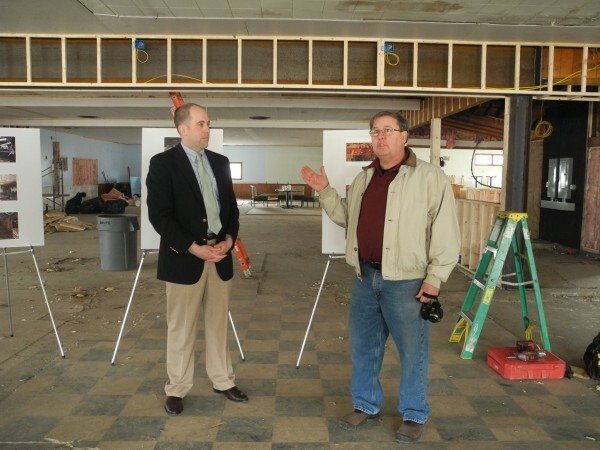 Seth Goodall, a Small Business Administration regional administrator and former Maine state senator, said Benson has a good track record of transforming rough-looking spaces. He also said Benson has given to his country during his career in the military. Benson told the officials present that in the Air Force, he spent his career running recreational programs, and after he retired to Lincolnville, he took a similar job with MBNA’s Point Lookout facility in Northport. But when the credit card giant got bought out, he lost his job, he said. After he was hired by a different company, Benson was laid off again. He and his wife finally were able to start their own small business in Waldoboro, with the help of the Small Business Administration, the bank and others. The U.S. Small Business Administration has a no-guaranty-fee initiative for loans of less than $150,000, Goodall said. The Benson couple are looking forward to recreating their kind of family fun in Belfast, too. Donald Benson gave a tour around the former restaurant, showing where the regulation-sized pool tables, the event rooms and arcade will be. He gestured around the large, mostly empty space. “We could have 125-150 people in here,” he said.